On January 5th, 2015, Bishop Provenzano consecrated the altar of our new Children’s Chapel, bringing to completion the renovation of our Sunday School and beginning a new era in our Christian Formation program. Children and youth are an active and vital part of our parish and our beautiful new Children’s Chapel and Sunday School are a reflection of how important they are to our community life. From September to June, our children gather each Sunday at 10:15am, attend a brief prayer service in the Children’s Chapel, watch a short cartoon, and then disperse into separate classrooms to learn about the lesson for the day. Once the children are done with their lesson, they join their parents upstairs in the church in time to participate in communion. 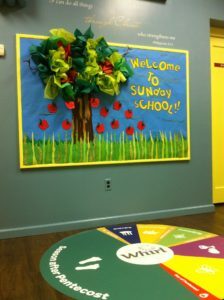 Our Sunday School uses Whirl, which is a lectionary-based sunday school curriculum, meaning that our children are hearing the same bible lesson read downstairs that we are hearing upstairs. Parents are encouraged to take an active role in the faith formation of their children and to talk with their kids about the lesson learned that day. Once children are old enough they are trained to be acolytes and learn to assist at the altar. Click on one of the galleries below to see images from our Christmas Eve 5pm Family Service and our annual Christmas Pageant. 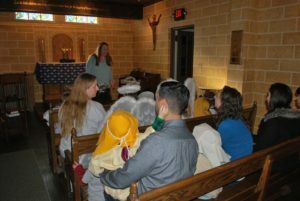 The youth of our parish have regular activities throughout the year. Every few years, our parish sponsors a youth pilgrimage, and kids that have been active participants in church life and in youth group activities are invited to go on the faith forming trip of a lifetime. 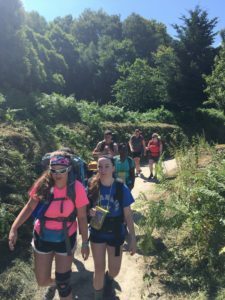 In the summer of 2013 and again in 2016, our youth walked the Camino de Santiago de Compostela in Spain.